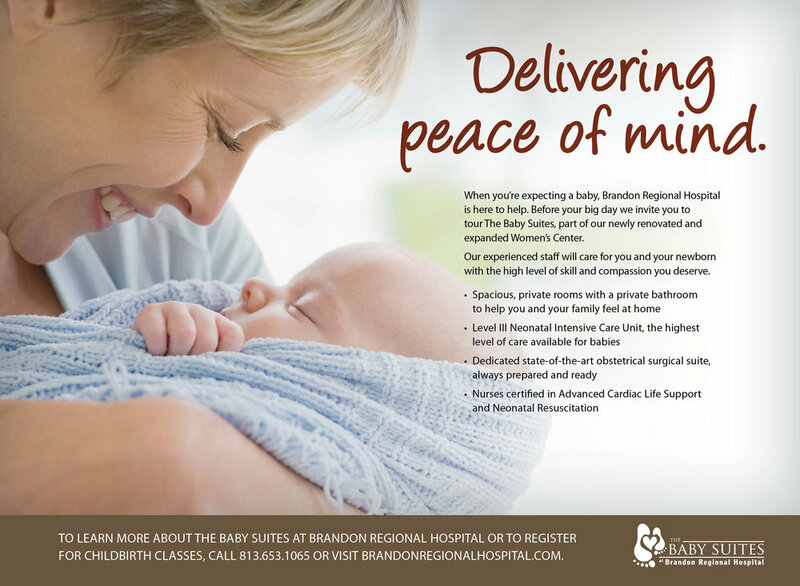 In order to gain an edge in the local market, Brandon Regional Hospital in Brandon, FL, opened a medical facility focused on womens' health. This facility featured services like OBGYN, daVinci minimally invasive procedures, and alternative medicine. To go with the new facility Brandon was looking for a new approach to their medical marketing. Something smoother, more approachable and more conversational—all driven by the tone of the facility itself. What we delivered was a campaign that branched across all areas of focus with a soothing voice, holistic undertones and photography that not only appeared to be local to Brandon, but was aspirational.